Granite Top Work Island. 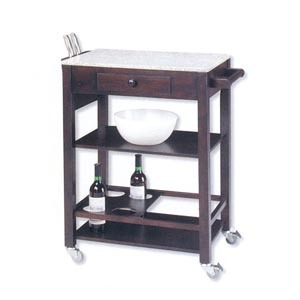 Features Shelves, Drawer, And Casters For Easy Mobility. This Is Perfect For Any Area In Your Kitchen. Strong Construction. Easy To Assemble.